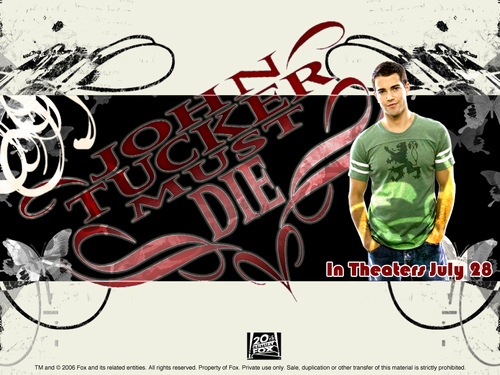 john tucker must die. . HD Wallpaper and background images in the cine club tagged: movie image film wallpaper john tucker must die 2006 comedy. This cine wallpaper contains signo, cartel, texto, pizarra, and letrero. There might also be animado, cómic, manga, historieta, anime, and dibujos animados.